This recipe is inspired by the sensational Middle Eastern dish made from spicy peppers and onions topped with eggs. 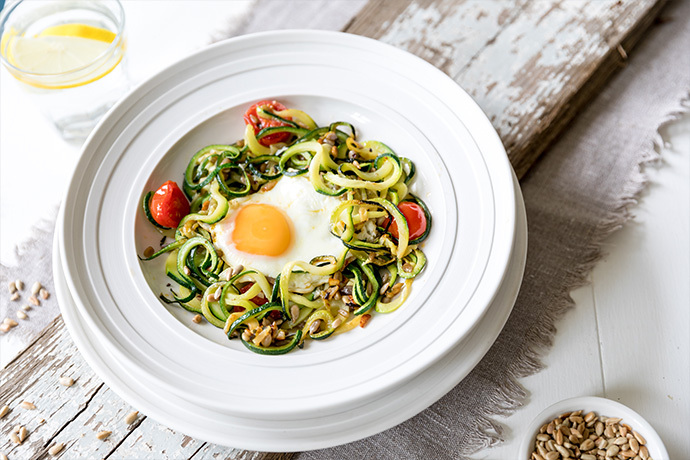 In this version courgettes are spiralised and stir fried with sunflower seeds and herbs. The sunflower seeds are a powerhouse of nutrients and together with the courgettes provide dietary fibre to feed the microorganisms in the gut and to help keep the contents of the gut moving freely. Most people in the UK do not eat enough dietary fibre for good gut health. 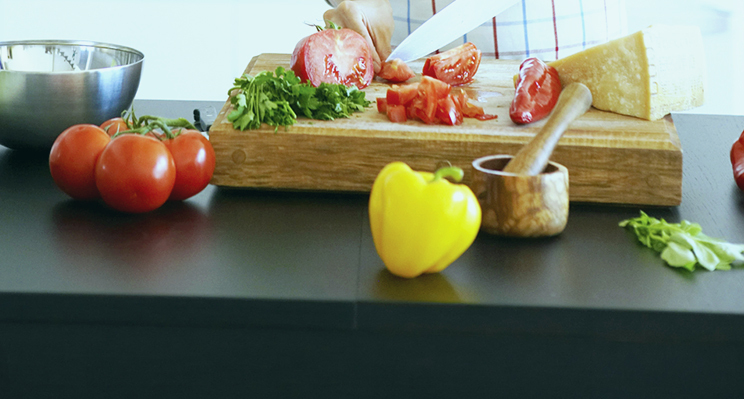 Adding vegetables and seeds to everyday meals increases the fibre content of the diet and helps to keep the gut healthy. You might find it hard to make enough space for 4 eggs in one pan. If so, divide the courgette mixture between two pans and cook two eggs in each. This dish would be lovely with small pieces of chorizo or bacon tossed through the courgette mixture to suit meat eaters. FODMAPs Garlic is a high FODMAP food.